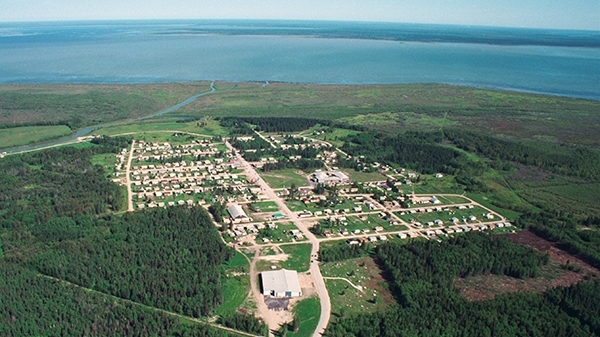 The community is located on Pine Island in the Saskatchewan River delta, about 449 kilometers from Saskatoon. Community access is limited. A bridge, built in 1995, connects the community to the rest of the province. Key Lake is the closest Cameco operation 415 km by air NW of the community. The population of the village and five adjoining reserves is approximately 2,000. The majority of residents are of Cree and Métis descent. Cumberland House is the oldest community in Saskatchewan and was the first inland post established by the Hudson’s Bay Company. The community is made up of the northern village of Cumberland House and the adjoining Cumberland Cree Nation. There are five reserves: Pine Bluff, Muskeg, Cumberland 100A, Budd’s Point and Cumberland Reserve 20A that form the Cumberland House Cree Nation. Children are able to attend school from kindergarten to Grade 12 in one of two local facilities (Charlebois Community School or Nisto Awasisak Memorial School) in the community. As in many Saskatchewan communities, hockey is a primary pastime for young people in the local hockey rink, the J.B. Settee Memorial Centre. For more information about this community, visit the Cumberland House community page of the Northern Saskatchewan Business Directory or the Cumberland House Cree Nation website.